Turkey, pecan pie, pumpkin pie and a gathering around the dining table – these images conjure the warmth of the holiday season for many. But for others, this means yet another holiday of scarcity and barely getting by. Hard times are…well tough. And tougher even when you are already struggling to put food on the table and a roof over your head. The holiday season is a reminder of the things you ought to have, but don’t, and of the people and gatherings you ought to enjoy but can’t. Before they knew of FSL, Bonnie and Jim were trying to make ends meet. Money was low and they could barely afford food from week to week. Then came more trouble. Their RV was deteriorating. Without money for the repairs, they were soon forced out of their RV Park. Around the same time, Bonnie learned she needed surgery, but without a decent space to recover the surgery was postponed indefinitely, leaving Bonnie with lingering pain. Then a friend mentioned Freedom Express, FSL’s free transportation program for seniors in Wickenburg. This program would allow them to run errands and attend medical appointments. 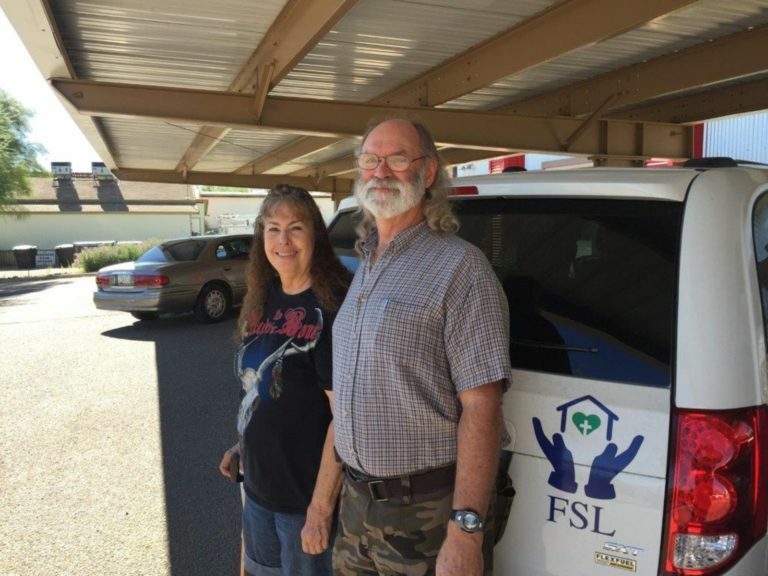 Bonnie and Jim also found out they could receive a food box from FSL’s food pantry when grocery money ran out. Things were starting to improve for them! But they still did not have a safe place to call home. An FSL friend suggested that they might be able to qualify for an apartment at. They applied, it went through! Because Bonnie and Jim now had a home, Bonnie was able to get surgery and make a recovery in a safe, comfortable space. FSL also lent them a wheelchair while Bonnie recovered. Bonnie and Jim never thought they would need help, but life is unpredictable and sometimes we all need a little help. 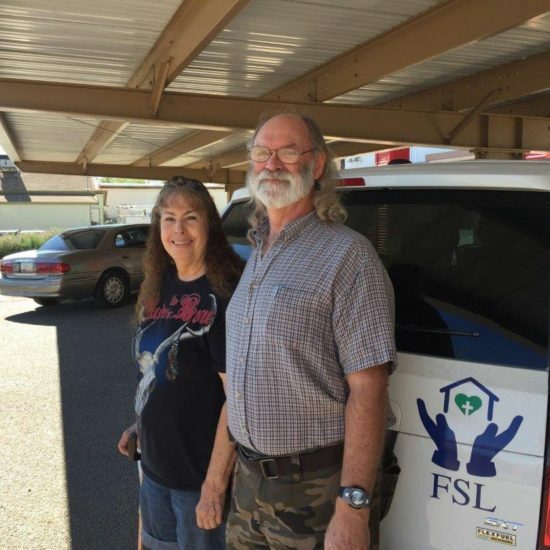 They are incredibly thankful for FSL and the generous donations that made it possible for them to get back on their feet and on their way to living life independently and with dignity. An enormous number of seniors here in Arizona live at or below the federal poverty line. They need a friend like you. And although you can’t be there in person for every one of them, we can. Through your gift to FSL, our team is able to give people the practical help and resources in such a way that reminds them that they are not alone, especially during this holiday season. Please give a generous “Thanksgiving gift” to FSL today and extend the warmth of the season to seniors in need. P.S. All donations to FSL qualify for the Arizona Charitable Tax Credit, so your gift today can be claimed as a credit on your 2017 state taxes – up to $400 for an individual or $800 if filing jointly. This means you essentially can give “for free”!